There's a bit of a Sonic Cathedral love-in going on at the moment at Even The Stars. 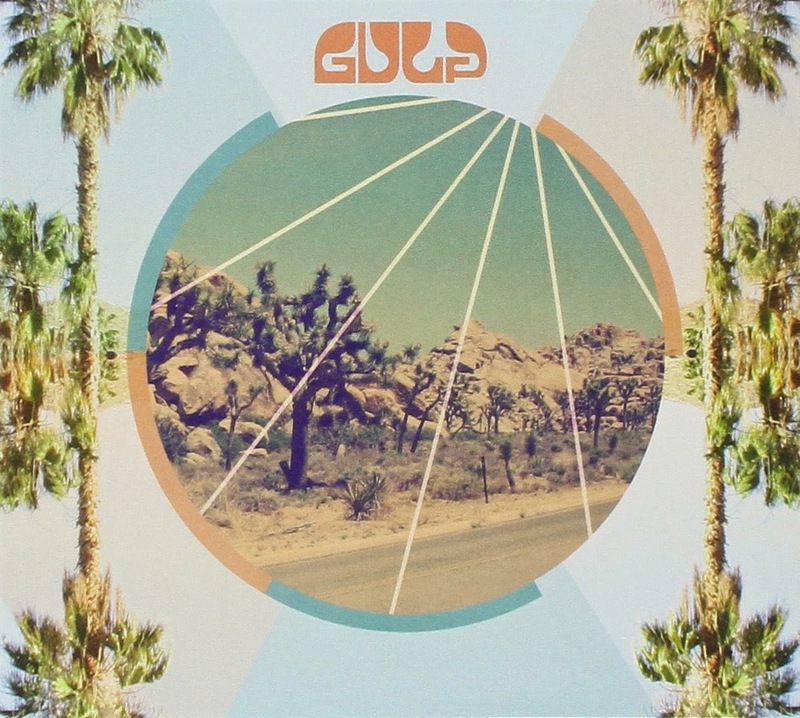 With Season Sun, Gulp have produced the perfect summer record, full of psychedelic sixties harmonies, tinged with electronica, ideal for relaxing on these hot balmy evenings. As Super Furry Animals take a hiatus and Gruff Rhys has been busy with a number of projects, the rest of the band haven't been idle. Bassist Guto Pryce has formed Gulp with his wife Lindsey Leven and enlisted the help of some of his bandmates and Gwion, drummer of sadly-departed Even The Stars favourites Race Horses. They've released a couple of excellent singles - album opener Game Love and Play - which built a sense of excitement about the eventual release of this album. The ten-track album fits together perfectly in the way so many albums fail to do these days as bands are fuelled by the need to write a couple of big singles and the rest are there to fill the space. It feels like it's been designed as a concept, meticulously constructed, but retaining a fluidity and consistency to the extent that you reach the end far too soon and flip it back to the start. It's simply a perfect summer record, not in your face, but it grabs your attention and hooks you in without you realising. Not necessarily what you'd expect from Sonic Cathedral, but that's the beauty of the label. With Leven on lead vocals you're immediately taken back to sixties girl groups and their beautiful three minute dreamy pop songs, the way the voice wraps itself around the music and follows it. You can also trace elements of influences from the likes of Saint Etienne, World Of Twist, Intastella and Stereolab and whilst Gulp tip their hat to them, they don't compromise themselves in doing so. It isn't just all about dreamy vocals though. The songs are structured to allow the music to take centre stage in parts, such as extended electronic sections of songs such as on the outro to Clean And Serene, the opening section of Vast Space and the middle part of Grey Area. There's also playful elements to the album, most noticeably on duet Everything and closing track I Want To Dance where Leven teases the male protagonist in the song. Season Sun doesn't just deliver on the promise of those two singles, it exceeds expectations. It's destined to go down as one of those under-rated under-loved classics that music fans talk about in hushed tones whilst it gathers little commercial acclaim. Season Sun is out now. Gulp's official website can be found here and they are on Twitter and Facebook.